There’s a lot of misinformation on the internet and in the mainstream media about genetically modified organisms (GMOs). Some science associations and companies like Monsanto would have us believe that genetically modified (GM) foods are perfectly safe, and necessary to “feed the world.” A growing number of organizations and scientists are telling a different story: that GM foods pose significant risks to human health and the environment. Who am I, the average eater concerned about my health, supposed to believe? 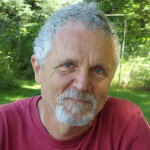 In my attempt to set the record straight, I joined over 200 people at UVic Monday evening to listen to Dr. Thierry Vrain, who is beginning a cross-Canada speaking tour on GMOs. He’s the former Head of Biotechnology at Agriculture Canada’s Summerland Research Station, and he used to be a supporter of GMOs. Clearly, I wasn’t the only one with worries and questions. As the crowd continued to swell, the whole group had to move en masse to a bigger room. I could sense high emotions: it seemed that most people (and I’ll admit, myself included) had already made up their minds about GMOs, and were burning to let forth into charged rants about the corporate control of food. But our quirky facilitator, an Aussie pharmacist with a Movember-style stache, shook up our preconceived notions right away. He invited us to try out a different stance: as scientists, with a critical eye for validity and reasoned examination of claims about GMOs. Dr. Vrain’s goal was to counter four common myths about GMOs with facts. I still have my science goggles on, so bear with me as I share these myths and facts with you along with more sources, so that you can investigate for yourself and come to your own conclusions about GMOs. MYTH: GMOs reduce the use of pesticides. FACT: GMOs are causing farmers to spray crops more, not less. The industry is using this as justification for introducing other chemicals to the mix. RoundUp is now being teamed up with 2,4-D: one of two chemicals in the infamous Agent Orange (produced by Monsanto) that shriveled entire landscapes during the Vietnam War, with disastrous human health effects. 2,4-D is a hormone disruptor that is detectable in the urine of children and has been linked with non-Hodgkin’s lymphoma. This chemical is approved for use in Canada and we will begin to see residues of it on conventionally grown food in the future. MYTH: GMOs increase crop yields. FACT: Increases in yields are a result of traditional breeding and improved agricultural practices, not genetic engineering. Have you ever noticed how proponents of GMOs always use the same line about “feeding the future”? The independent Union of Concerned Scientists set out to test this claim. Their downloadable report “Failure to Yield: Evaluating the Performance of GE Crops,” looked at two dozen peer-reviewed studies. They found that in 20 years of industry effort, herbicide-tolerant corn and soy haven’t resulted in crop yield increases. Only insect-resistant corn might be responsible for an increase of 0.2-0.3% per year. Impressive? No. Especially when you consider that corn production in the U.S. is not about “feeding the world.” Most corn in the U.S. is grown as feed for factory farms, a highly inefficient way to feed people. The rest is used to produce environmentally disastrous biofuels and high-fructose corn syrup for processed junk food. According to Dr. Vrain, the genetic engineering process is physiologically hard on the plant, causing it to be less productive and resulting in lower yields. This view is supported by a large-scale academic review and a USDA report cited in “GMOs: Myths and Truths,” another downloadable resource with a wealth of information on GMO myths not covered in this article. “At best,” the authors write, “GM crops have performed no better than their non-GM counterparts, with GM soybeans giving consistently lower yields.” (P. 72). MYTH: GMOs don’t impact the environment. FACT: GM crops have many negative effects on the environment. 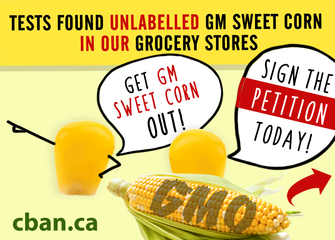 One of the biggest threats GM crops pose to their environments is contamination. The Canadian Biotechnology Action Network (CBAN) asserts that GM alfalfa threatens the future of organic food and farming in North America. Alfalfa is unique because many organic farmers grow it to feed livestock and build soil. It grows year-round and is pollinated by bees, so contamination of organic alfalfa will be certain. 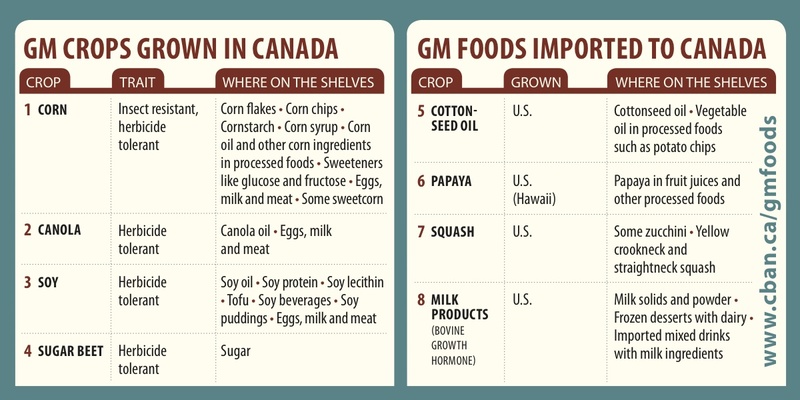 Japan and the EU won’t buy crops from Canada if there’s any risk of contamination by GMOs. According to Dr. Vrain, Canada risks losing hundreds of millions of dollars in exports if GM Alfalfa is allowed, and this will hurt conventional growers too. Canada has already lost its Japanese and European markets for canola due to GM contamination. Insect resistant crops are engineered using Bt, a bacteria that produces a protein toxic to insects. Every cell of the GM plant is toxic to insects. These plants are literally registered as pesticides. Bt crops have adverse effects on a range of different organisms, including humans – not just the insects they’re supposed to target (GMOs: Myths and truths, p. 51-52.) Monsanto’s use of Bt genes is also causing the evolution of Bt-resistant “superbugs,” posing serious risks to food production. But what if you want to eat real food, not pesticides? Bt sprays are a biological pest control method widely used by certified organic farmers and backyard gardeners. With the rise of superbugs, organic farmers risk losing their ability to use Bt. 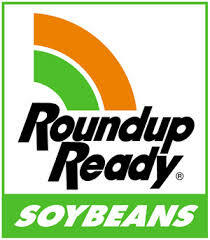 Farmers across North America will have no choice but to buy the next Monsanto product just to be able to grow a crop. 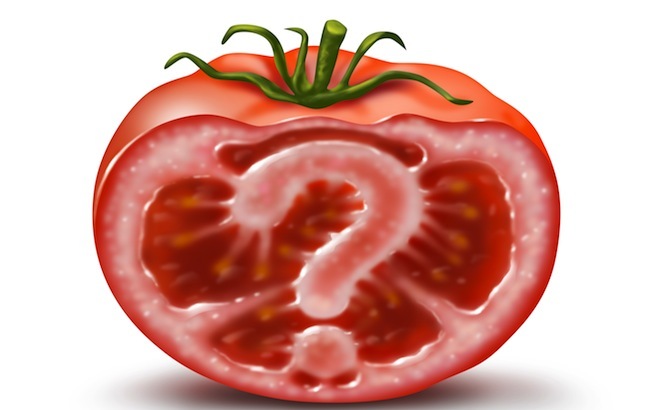 MYTH: GM foods are safe to eat. FACT: GM foods are more toxic or allergenic than their non-GM counterparts. My note-taking couldn’t keep pace as Dr. Vrain cited a dizzying number of studies showing harmful effects of GM foods on human health. If there are so many studies, I wondered, how is it even possible that the industry can continue to make this claim of safety? The various ways this information is masked by Monsanto and other biotech companies is explained in detail in “GMOs: Myths and Truths,” (p. 72) which cites an even more dizzying number of studies about health impacts on humans and animals. Here’s a taster: stomach sores and ulcers; allergic-type responses; disturbances of the immune and digestive systems; disturbed function of testes, uterus, ovaries, and pancreas; consistent toxic effects on the liver and kidneys; intestinal damage leading to pre-cancerous-type conditions; enzyme function disturbances in kidney and heart; slower bodily growth; and changes to blood biochemistry and gut bacteria. Whoah. What is it about GMOs that causes this harm? One reason being examined is the issue of “rogue proteins.” Only 5% of the genome actually codes for genes; the other 95% are non-coding genes. They used to be called “junk DNA” in the genetics world. But in the past decade, scientists have discovered that this 95% is not junk at all: it’s where genes collaborate to create around 100,000 proteins for all sorts of needs. When it comes to GM plants, you don’t only get the “pest-fighting” protein, you get new and unexpected proteins altogether. According to Dr. Vrain, expert toxicologists at the FDA predicted these “rogue” proteins produced by GMOs could cause toxicity, allergies, or nutritional deficiencies. This prediction has been backed with evidence from the Institute of Public Health (Belgium), the Journal of Proteome Research, and the journal Biotechnology. 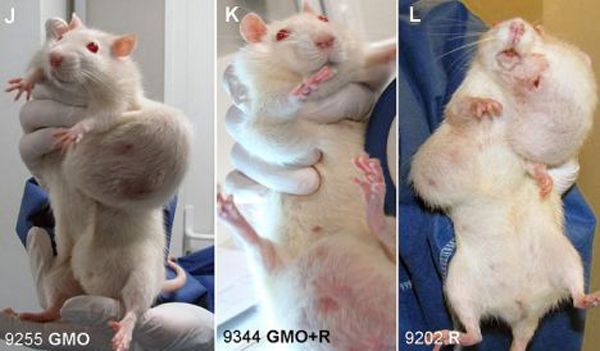 By now, you’ve probably seen the revolting photos of the now-famous Seralini study, which showed massive tumours in rats fed GE maize. Seralini was criticized by some scientists for his methods, and France has invested in a follow-up research study. However, the issue prompted the European Food Safety Authority to review and change its guidelines for research, and the updated version validates Seralini’s methods. The tumours in his study showed up after two years. Most studies by the industry only involve a three-month time period, because longer term trials correlated with the human life cycle (required for pesticides and pharmaceuticals) aren’t required for GE foods by regulators anywhere else in the world. That’s a big problem, because it’s upon such dubious 3-month studies that Canada’s health regulations rely. In Dr. Vrain’s words, biotech companies operate under two different paradigms based on what suits their profit margins. When they’re pursuing a patent for a GMO, they argue that it’s a unique and unprecedented new product. When they’re jumping through the regulatory hoops, their policy is the following: it looks like corn, it grows like corn, it tastes like corn, so it must be no different from…corn. This principle is called “substantial equivalence.” There’s been no FDA testing to come to the conclusion that GM and non-GM corn are substantially equivalent. Substantial equivalence is also the reason why GMOs have been allowed in Canada, with absolutely no federal testing. 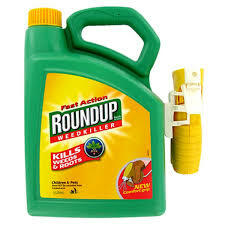 It’s important to remember that 90% of GM crops are designed to be used with glyphosate, the main chemical in RoundUp. Even if it’s not genetically modified, says Dr. Vrain, all conventional grain in Canada and the US is sprayed with RoundUp 3-4 days before harvest to make the harvesting process easier. Glyphosate is widely considered to be a relatively safe pesticide. There are, Dr. Vrain pointed out, other chemicals in RoundUp that are considered more toxic than glyphosate. But is glyphosate itself really that safe? “GMOs: Myths and Truths” (p. 68) cites several studies showing otherwise: humans are widely exposed to glyphosate in air, rain, and waterways, and it poses serious health risks at the low doses approved for use, including DNA damage, cancer, neurological disorders, premature birth, birth defects, and miscarriage. Glyphosate harms beneficial gut bacteria and inhibits an enzyme called cytochrome P-450, causing diabetes, heart disease, cancer, infertility, Alzheimer’s, depression, autism, obesity, and gastrointestinal disorders like IBS and leaky gut syndrome. There’s increasing consensus that gut bacteria powerfully influences brain chemistry and function, and can exacerbate anxiety and depression through conditions like leaky gut syndrome. According to Dr. Vrain, 90% of the cells and 99% of the DNA in your body are not yours: they’re bacteria. We are symbiotic organisms that depend on bacteria for our existence. When you read about studies like the ones I’ve just mentioned, it begins to make sense why so many people have digestive problems these days. Dr. Vrain showed that human incidences of conditions like celiac disease and autism have risen sharply in a curve that directly matches the rising rate of pesticide use since the mid-1990s. He was quick to point out that this shows correlation, not cause and effect, and that the glyphosate studies were done on rodents and poultry, not humans. Research ethics simply wouldn’t allow a study to be run on humans if it could potentially lead to such harm. But the reality is that by eating conventionally produced food, we’re all participating in a science experiment on a massive scale. Scientists and physicians are sounding the alarm about the global rise of antibiotic resistance, which threatens humans’ ability to use them for medical treatment. GMOs will only contribute to this increase. In genetic engineering, a gene gun shoots millions of microscopic gold pellets painted with DNA into the plant’s cells (microscopic violence?). This is a terribly inefficient process – far from the elegant and highly specialized process biotech companies claim. To find the spots where the DNA has been transferred, an antibiotic resistant “marker gene” is also painted onto the pellet. When different bacteria rub up against each other, they can transfer genes. Because of this gene transfer, says Dr. Vrain, bacteria from GM crops have the potential to alter the soil and human gut bacteria in unexpected ways, by creating “superbugs.” Antibiotic resistant marker genes enter the soil and waterways, and may well contribute to the global rise in antibiotic resistance. While the jury’s still out on whether marker genes will have a significant impact on antibiotic resistance, there’s no doubt that the industrial food system – in which GMOs play a central role – is having an impact. Glyphosate is classified as an antibiotic. Bacteria like salmonella and the bacteria that causes botulism have already become resistant to it. And don’t forget that the vast majority of GM crops are grown to feed livestock. The industrial meat production industry uses 80% of all antibiotics produced in the US (75% in Canada). Why are we allowing one of the most important treatments in conventional medicine to be piddled away on factory farms? GM canola, corn, soy, and sugar beet are grown in Canada, and several other crops and foods are being proposed for approval. Canadian farmers are currently losing the battle against GM Alfalfa, despite significant organized opposition. The Canadian Wheat Board successfully opposed the introduction of GM wheat in Canada, but now that fundamental changes have been made to the Wheat Board by the Harper government, Monsanto could push GM wheat in Canada again, risking similar losses for farmers. Canada is the only place where GM sweet corn has been allowed, giving us the dubious honour of the world’s guinea pig for the past two years. When you buy corn at harvest time, Dr. Vrain recommends asking if it’s genetically modified. Developments on GM salmon are being closely followed by CBAN. The US-based company AquaBounty is close to approval of GM salmon for sale in the US, and may have already asked Health Canada for approval in Canada. In a Q&A session after Dr. Vrain’s talk, panelists included Nicholas Simons, BC NDP Agriculture Critic and MLA for Powell River. Powell River was the first BC jurisdiction to go GMO-free nine (nine!!) years ago. Since then, over sixty communities have followed suit. In September, the Union of BC Municipalities passed a motion asking the BC government to prohibit the importing, exporting, and growing of plants and seeds containing genetically engineered DNA, and raising GM animals within BC. When informed of the situation, Agriculture Minister Pat Pimm said he would pass on the information to the federal minister responsible. Despite Mr. Pimm’s copout, this is an important victory for BC. Simons surprised us with a new issue emerging in BC: the fight over the “Arctic Apple.” Okanagan Specialty Fruits, a BC company, has applied for government approval of this GM apple, designed not to become brown for 15 days or more after being cut. Simons made his point by asking if anyone in the crowd cuts their apples 15 days before eating them. This apple is a sign that we’re going to increasingly see GMOs grown not to “feed the world,” but to feed a questionable desire for cosmetically attractive foods. There’s significant opposition to the apple among growers, but no public comment will be allowed before the government makes its decision. All of these issues bring up a big question: why is the public being ignored? Co-panelist Carolyn Herriot, writer of “The Zero Mile Cookbook,” believes it’s because there’s a media blackout in Canada and the U.S. We need to ask why very few of the studies I’ve cited have actually been taken up by the press. Certainly, the multimillion dollar advertising campaigns launched by biotech and food industry giants to kill GM food labeling bills in California and Washington is evidence of their influence. But despite these losses on labeling in the U.S., another of the Q&A panelists is staunchly hopeful. Gurdeep Stephens, of Nature’s Path Organic Foods, reminded us that two or three years ago there was very little public awareness about GMOs. Now, she says, it’s growing exponentially. So what can we do to keep this awareness growing? I propose we listen to the mustachioed Aussie, and take a scientific stance. Yes, I know, scientists in this country aren’t getting much respect these days. But no matter how much a person is opposed to Monsanto on a visceral, emotional level, using science to make our arguments is key. We need to reframe the debate entirely – away from whether it would be nice if our apples didn’t brown, and toward whether this whole system of industrial food production makes any sense at all, scientifically or socially. To do this, we need to be able to debunk the myths propagated by the industry, while constantly asking questions like “who funded this study?” We need to stop letting the biotech industry choose which science gets heard, and assert our right to make informed choices about what’s in our food. Even if you don’t care about having a choice as to what’s in your food, we must allow future generations the choice about what’s in theirs. Buy local food from farmers you can trust, and ask them about their farm practices. Better yet, grow your own! 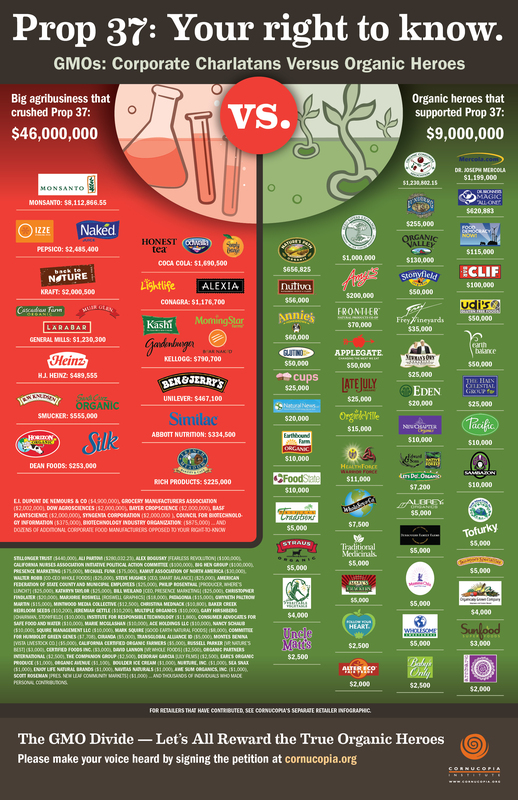 Buy certified organic or “Non-GMO Project Verified” foods when you have to buy them from far away. Certified organic food in Canada cannot contain GMOs, contrary to what some (including myself) have heard. Labels like “Natural” are meaningless. If the label is unclear, the food probably contains GMOs: 90% of corn, 93% of soy, 100% of sugar beet crops in North America and 43% of cotton crops in the world are genetically modified. At the grocery store, avoid canola and cottonseed oil, and certain squashes and papaya imported from the U.S.
Avoid processed foods with ingredients like “High fructose corn syrup,” glucose or fructose – corn products can hide under many different names. Buy 100% cane sugar (not beet sugar). Buy certified organic dairy, meat and eggs: animals bioaccumulate and concentrate toxins present in their food, and this gets passed to humans. 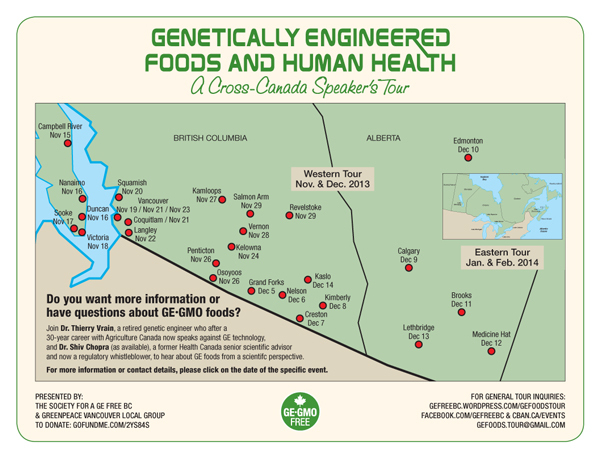 Find a speaking event near you or support the tour at http://gefreebc.wordpress.com/gefoodstour/. Youtube videos of filmed speaking events will be posted soon. Dr. Vrain will be touring with Dr. Shiv Shopra – the scientist credited with stopping Bovine Growth Hormone from being approved in Canada.